Does anyone really look forward to cleaning up a messy closet or a clutter-filled garage that looks like it went through the Apocalypse? Honestly, when I think of attacking these chores, that’s all that happens; I think about it and then find something else to do like go to the gym. I’ve lived in the house I’m currently living in quite some time now and I am just starting to sift through the dust-filled boxes in the garage that have been lining the shelves for 9 long years. Although it’s not much fun to tackle daunting projects, there never ceases to be a silver lining in the process; gems I call them. This happened today. I found a box labeled “kids” and slowly wiped the dust off of it to see what was inside. I found a treasure; my hand-written homeschooling schedules for each of the kids. My kids are all adults now- this was a true flashback to a different era of my life. On the schedule, each week had a Character Theme and a daily list of classes, chores, and activities. 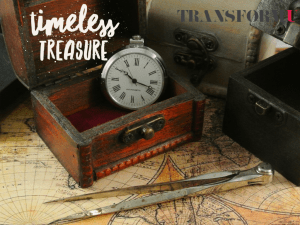 We are not a society that lacks having effective planners; we can find incredible day timers to help us with our goal setting and daily productivity anywhere. 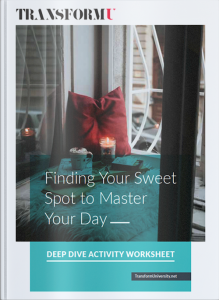 We are, however, a society that has lost the art of scheduling quiet time into our high achieving planners. When was the last time you scheduled quiet time into your day? If you are truly serious about attaining your goals, increasing your productivity, and enhancing your well-being in 2019, you can do some simple subtraction to make it happen. It’s time to start subtracting not only the things that are stumbling blocks towards your goals but also the things that are keeping you from living a more peaceful life; one with much less stress in it. The first thing I suggest you start subtracting is mind noise. Mental noise is found internally and externally. Internally it is the endless chatter in your mind; that inner conversation you repeatedly have with yourself. Experts believe that you might even be unaware of the chatter because it’s such a deeply entrenched pattern in your life. It may possibly be a habit you consider as a natural way of life. Let’s do something right now. Stop and set a timer for 1 minute and collect your thoughts. In that 1 minute, how many of your thoughts were toxic? How many of your thoughts were negative and worrisome? Pretty eye-opening isn’t it? Since your brain is constantly bombarded with this continual stimulation, it becomes difficult to perceive your true thoughts. When you can’t listen to your true thoughts, life is much more confusing, frustrating, and stressful. When we live in this reactive mode, we rarely leave time for reflection so our discernment of things is skewed at best and grossly distorted at worst; this impairs our judgment. Mental noise is not limited to the internal conversations we have with ourselves. We live in a noisy and distracted world; one that challenges our silence and adversely affects our health. External mental noise also disrupts our focus. It comes in the form of excessive background noise; overly loud music, televisions on 24/7, cars zooming outside, sirens reeling, constant social media notifications, and our smartphones continually either ringing or vibrating. Sadly, even if your phone isn’t the culprit, you most likely can always hear the notifications from the phones of those around you. Stop and think about it for a second. How many minutes a day do you spend in silence? My guess is that it’s not much. Chances are if your brain is continually processing noise, it can’t focus on being still. It’s impossible for the brain to rest, reset and reflect. It’s time to do some simple math. Let’s look at the laws of subtraction and addition to help you have a winning year in 2019. There is a lot of research on the subject of technology and the effect it has on our well-being. Studies show that when people set aside time to unplug from technology, they report an improved quality of life. How do you define an improved quality of life? In this particular study, conducted at the University of Maryland, students who participated in the study spent more time with family, friends, exercised more, and even ate better when they took time to unplug from technology. How much time is beneficial? That is something you have to find out for yourself. Play with it and see. Start with intentionally turning off your notifications for an hour a day; make adjustments. By making this one change, you will be creating an environment for your brain to recover from the effects of mental noise and experience a bit more of clarity in your day. All of us have a tendency to overthink and play the reel to reel in our minds on repeat. This is not only an exercise in futility that causes anxiety and elevates our stress hormones; it also keeps us in a heightened state of alertness. It’s mind noise at its best which contributes to mindless living. You can beat yourself up over your yesterdays or worry about your tomorrows; either way overthinking is a destructive pattern of incessant ruminating. The key is to recognize when you’re overthinking and hit the pause button. Allow yourself to be present. I have my clients visualize a switch that they flip when they find themselves in this state. They flip the switch and once the switch is flipped, they either do some deep breathing exercises and or visualize a pleasant, serene place. This simple exercise interrupts the mental noise they are experiencing and opens up opportunities for silence. Research confirms that the brain is the most creative and active immediately following sleep. This is an ideal time for output; dumping out thoughts from your head, writing ideas in your journal, reflecting, planning and setting the course of your day. Unfortunately, most people wake up and the first thing they do is look at their phones, flip on the TV, or check their email inbox; this is considered input. Getting a barrage of information that overrides your creative output state. If you want to structure your day to be results-oriented and not living in a reactive state, where you are at the mercy of your environment, protect your mornings. Operating in a reactive state takes away your creativity and power. Personally, I’ve made drastic changes to my morning routines. I don’t check emails or get on social media until I’ve gone through my output routine of prayer, journaling, reflecting, and being still. This has made a tremendous difference in the quality of my day and productivity. Research shows that we need mental downtime after work to recharge for the next day. We now know that the blue wavelength light from our devices whether they are our laptops, computers, or smartphones, increases the release of cortisol in the brain and inhibits the production of melatonin, which is needed to fall asleep. That is why experts in this field recommend turning off all devices an hour before going to bed. Now that you have learned the importance of subtracting mind noise out of your life, it’s time to learn how to add it’s valuable counterpart; silence. Close your eyes and imagine a serene time in your life. Maybe it was a vacation you took to get away and relax. Perhaps it was a time in your life when you were practicing meditation or when you were intentionally factoring in self-care. What did you feel like on that vacation? How was your state of being? How present were you to your environment? Have you ever imagined what your life would be like if you could add new brain cells? Well, you don’t have to imagine any longer. According to a study that was published in the Journal Brain Structure and Function, researchers found that two hours of silence helps grow new brain cells. This 2013 study noted that the two hours of silence created new cells in the hippocampus region of the brain. The hippocampus region is an area of the brain that is linked to learning, remembering, and emotions. Okay, say you don’t have two hours to devote to silence in your day, no worries; surely you can find two minutes in your day to devote to silence. There was another study in Heart that showed that two minutes of silence relieves tension in the body and brain. This study was conducted in 2006 and was attributed to changes in blood pressure and blood circulation in the brain. It decreased stress by lowering blood cortisol levels and adrenaline. In addition to increasing new brain cells and decreasing stress, silence also helps you overcome mental fatigue. This opens the door for increased creativity in the form of fresh perspectives, innovative ideas, and new solutions to emerge from your thinking. 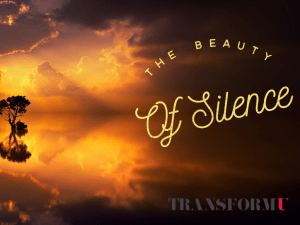 So with all this overwhelming evidence of the effects of silence, how can you add silence into your day to calm your mind and reestablish balance? Start carving out 2 minutes of silence a day and gradually increase it to 10 minutes. Make sure to take note of how you feel and the difference it’s making in your well-being; whether it be a sense of more connectedness with others, feeling more present or realizing that you are generating more creative ideas. There is substantial evidence that shows that prayer and meditation engage the deeper parts of the brain which are involved in self-reflection. According to Dr. Paul Hokemeyer, a marriage and family therapist, when people sit down to engage in prayer or meditation, they shift away from a frightened stressful survival mode to an “intentional” state where they can re-energize their pre-frontal cortex which is the part of the brain that rules their executive functioning and enables them to make intelligent, mindful decisions. The sound of silence is a beautiful thing. When my kids were very young it was hard to find silence anywhere in the day. My most creative, productive times were when I was able to get up before the family and have time to myself. I used this time to pray, frame my day and get energized for all the day had in store for me. There is such strong evidence to support the fact that connecting with nature heightens your overall well-being. Those of you who are familiar with me know that the foundation of my coaching practice is Strength’s Based; strengths are a key concept in Positive Psychology. The reason why I recommend adding connecting to nature in your daily routine is because when you connect to nature, you tap into the strengths classified by the VIA Institute as the values of Transcendence. Transcendence is connecting people to a wider world, which provides them with meaning and purpose. Transcendence is also a key component to the practice of mindfulness. Admiring the formation of the clouds. By doing so you will concentrate on something beautiful; which will add a deeper meaning to your life and help you develop a sense of something beyond yourself; a higher purpose. 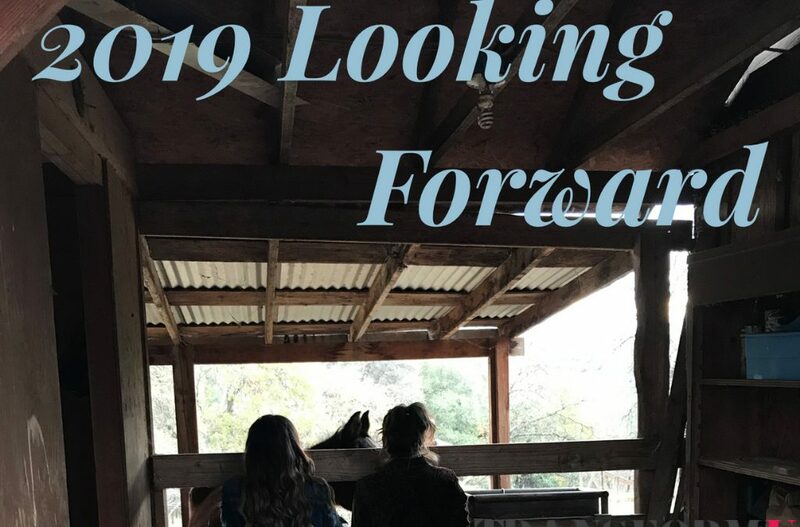 My goal in writing this particular blog on the eve of the New Year was to encourage you to actively seek and make silence a goal in 2019. I didn’t want to be like everyone else who tells us to keep going, to accept this 90-day challenge, to not stop, to grind it out, to rise to the top. Those of you who are part of my community know and practice those things – you are resilient warriors. This blog was to share valuable insights with you that you could implement immediately to improve the quality of your life so you CAN reach your goals in 2019 but not at the expense of your health and well-being. In doing so, my wish for you is that as you seek silence, you will uncover your own silver linings in your day; your own gems to find beauty and solitude in this crazy fast-paced world. 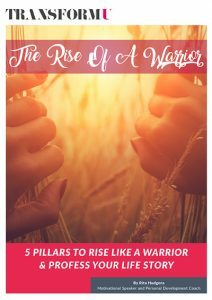 Filled with foundational truths, the 5 Pillars of the Warrior’s Journey equips you to embrace courage and live life in your strength’s zone.